Happy Tuesday! 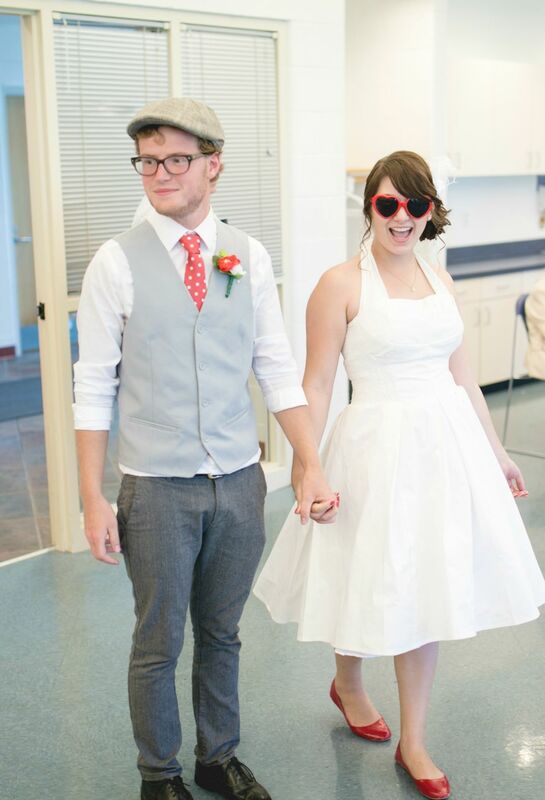 Today is Preston's and my 2nd wedding anniversary! 2 years seems like nothing when you say it out loud, but it feels like we've been together for years and years. It probably has something to do with having a baby after 1 year, but time has really just flown by. I find myself reliving our wedding day a lot in the days leading up to our anniversary and thought I'd share a little glimpse of those special moments with ya'll! My hubby built this giant wooden cross and I made a floral swag to drape across the front. It looked so pretty in front of the pond! We decided to get married under a cross as a reminder of the incredible covenant we were making. We also opted for a Bible instead of a pillow to hold our rings. Our wedding cake! The topper was my mom & dad's at their wedding and the pearls tied in our vintage touch. The top layer was vanilla, the middle red velvet and the bottom dark chocolate (Preston's favorite). Gold sparkly champagne glasses for our "champagne" (it was sparkling cider). Part of the centerpieces on every table. All of our wedding decor was DIY which saved us big bucks (and made for a much more enjoyable honeymoon)! I love looking back at all of our wedding pics. It's a great reminder of the love that brought us together. I never want our relationship to become monotonous. I never want to say "I love you" out of habit and forget to say it with meaning. So I look at our wedding photos often and pray that we can continue to live out a Godly marriage and be a good example for Lucy. I am so thankful and blessed to be Preston's wife and I'm so glad to spend the rest of my life with him.